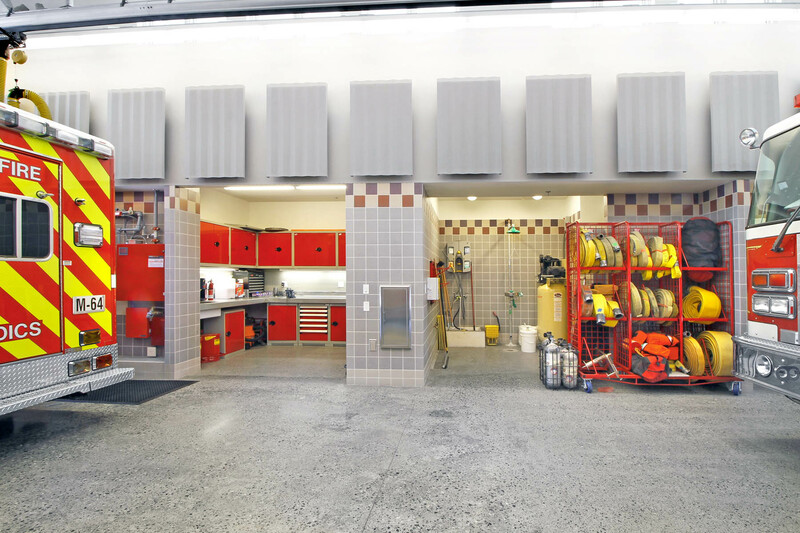 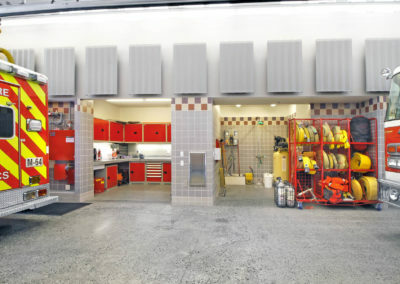 Novato Fire Station 64 is a new 7,730 sf single-story fire station designed to fulfill the needs of the Novato Fire District and the communities that it serves for many years to come. 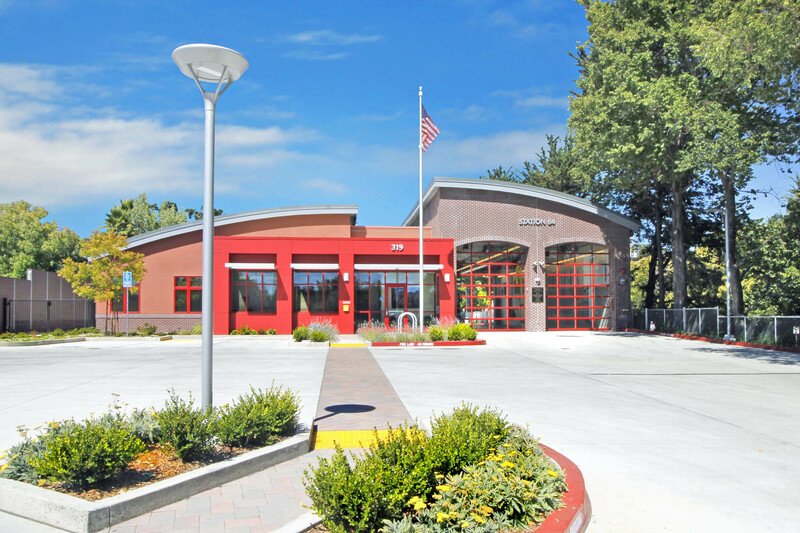 The new fire station replaces a previous fire station located on this site for the past forty years. 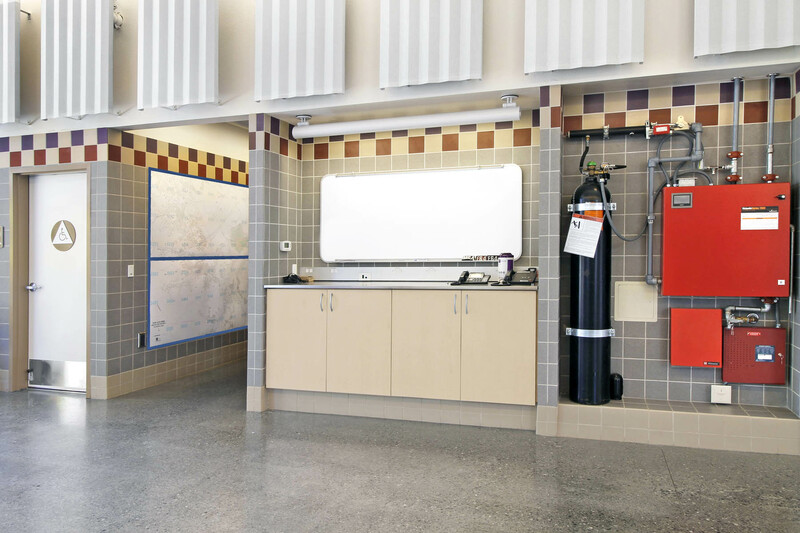 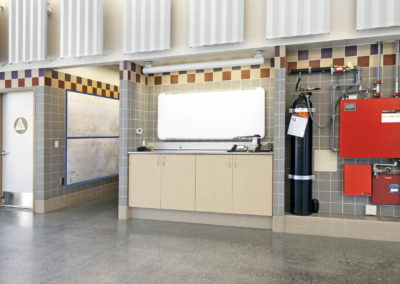 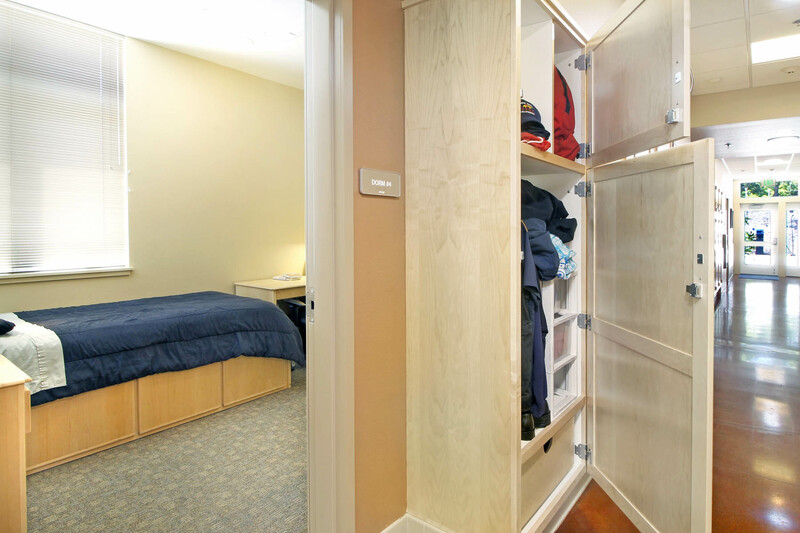 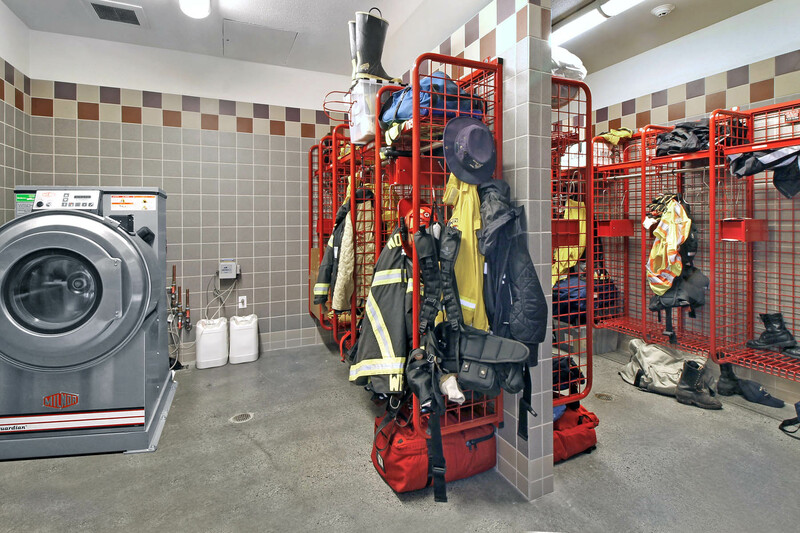 The station incorporates design features that are in alignment with the best practices of the fire service and the guiding principles of the Fire District. 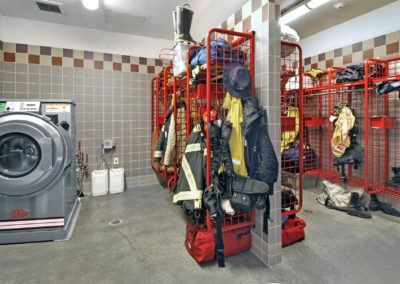 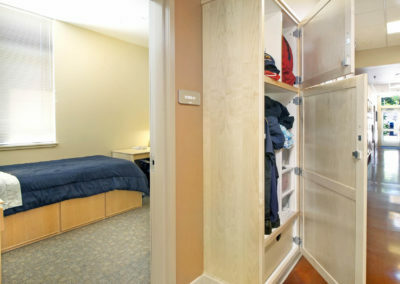 The fire station includes: two drive-through, double-deep apparatus bays; response desk, shop, hose storage and turnout gear rooms and a restroom all off of the apparatus bay; six single-occupancy dorm rooms; four single-occupancy restrooms with showers; kitchen and dining facilities; day room; fitness room; captain and crew offices; and support spaces. 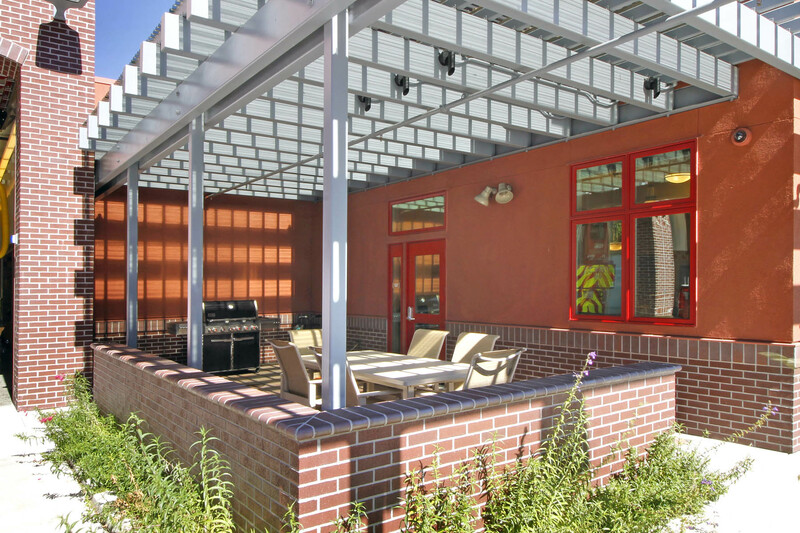 The trellis covered patio and BBQ area, acts as a weather protected outdoor extension of the very important communal cooking and dining areas. 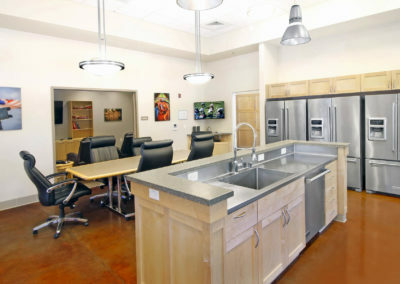 The building is energy saving design incorporates a photovoltaic system, the use of natural daylight, thermal insulation, and energy efficient electrical, mechanical, and lighting systems. 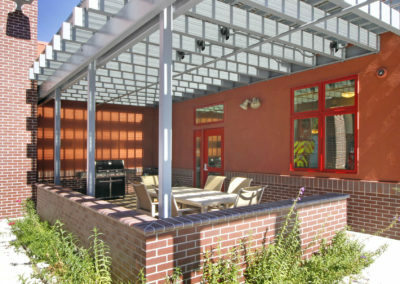 Drought and fire resistant landscaping are utilized throughout the property. 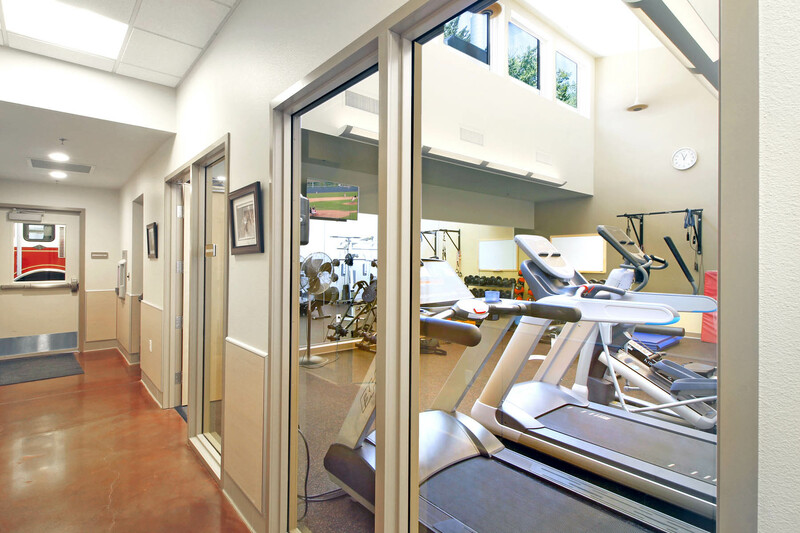 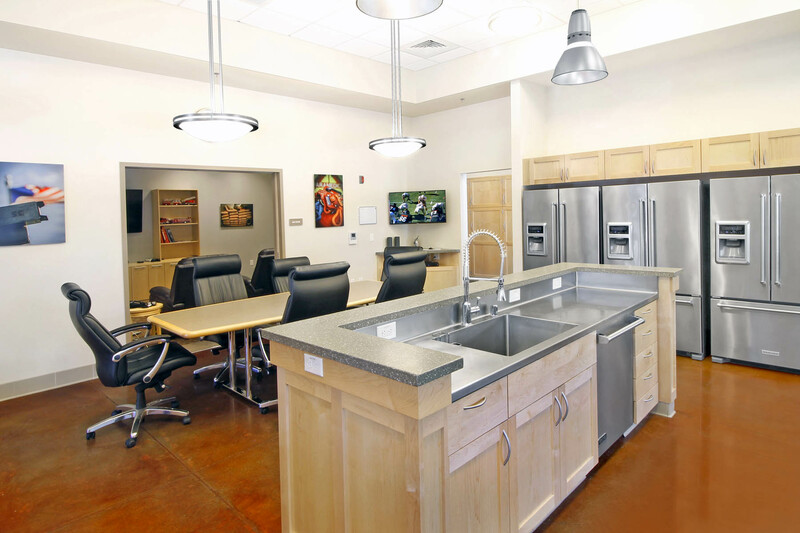 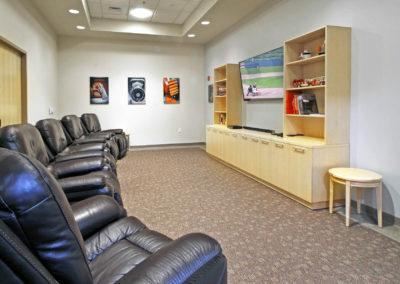 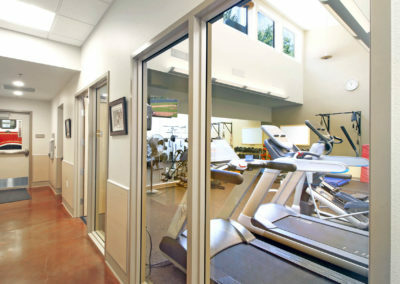 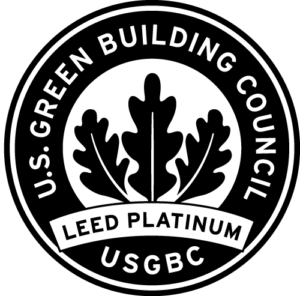 The project has achieved LEED Platinum certification.